When will be As The World Turns next episode air date? Is As The World Turns renewed or cancelled? Where to countdown As The World Turns air dates? Is As The World Turns worth watching? As The World Turns debuted in April 2, 1956 as the first ever half-hour long soap opera. As the story unfolded during the late fifties, the plot centered around the Hughes family. As story lines progressed, several new families came into the picture, including the Lowells, Munsons, and Snyders. 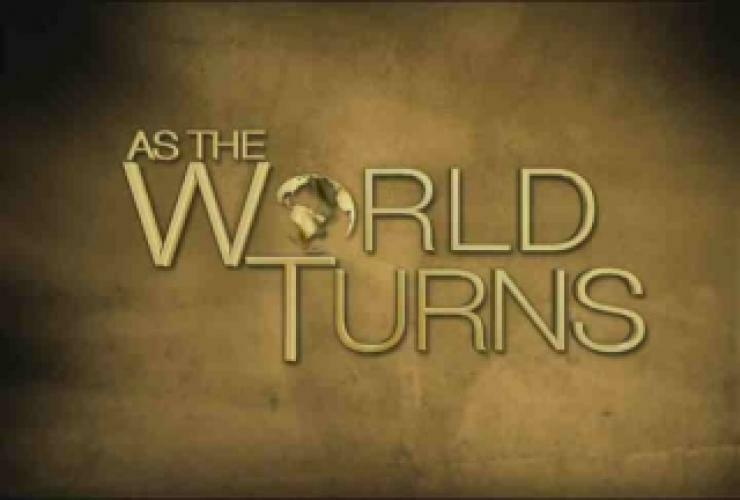 As The World Turns aired 13,858 episodes, airing their last episode on September 17, 2010. As The World Turns won 4 Daytime Emmy Awards for "Outstanding Drama Series", 4 "Outstanding Writing Team" Emmys, and over a dozen Daytime Emmys in the Outstanding Actor/Actress categories. EpisoDate.com is your TV show guide to Countdown As The World Turns Episode Air Dates and to stay in touch with As The World Turns next episode Air Date and your others favorite TV Shows. Add the shows you like to a "Watchlist" and let the site take it from there.